In this article, let’s explore a few ways you can meet people in Paris and make friends. The best places to go socialize are those where others are also looking to find friends. 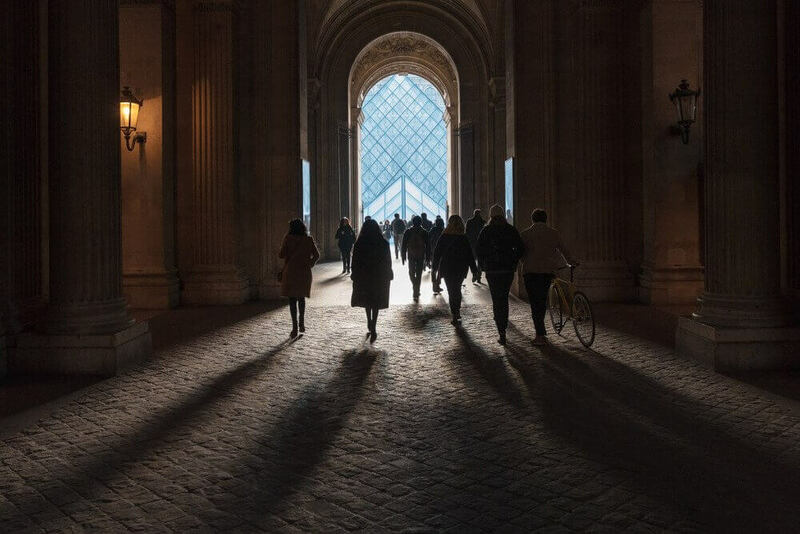 We hope this article will inspire you to go out and mingle in the beautiful city of Paris, France. When you arrive in Paris and don’t have any friends, it’s not a really great situation. The same goes for when you’ve been living in Paris for only a short while, when you have an internship in Paris for a few months, or when you’ve simply decided to live in the City of Light…. Basically, c’est la vie. Still, life is much cooler when you have friends. But how can you make friends in Paris? Maybe you think this should be easy in such a lively, cosmopolitan city. But when you’re there alone, it’s not easy to meet other people. So, here are some tips for how to make friends in Paris. Sure, there are bars and nightclubs, but you also have to think about communication. Trying to have a conversation in a club, with music blasting, isn’t really ideal. It’s actually pretty much impossible. And when it comes to things to talk about, you’re pretty limited. You could comment on someone’s style or the way someone walks, but what else? Yeah, it’s not easy to have real (and interesting) conversations in a place like that. Plus, let’s be honest: the people you meet in a club are probably going to be the ones you hang out with there, but never anywhere else. This kind of friend is cool when you’re 20, but at a certain moment, you want real, true friends. Sure, there are exceptions, but there you go – that’s the general rule. Making friends in bars could be a little better. But if that’s what you’re going for, opt for a place with a defined theme and ambiance. For example, a jazz bar, literary bar, or Latin bar. Your goal? Meeting people who have similar interests to yours. Of course, you’re not going to meet your best friend in a single night. No. Before you make a friend (and before they become your best friend- you never know), you’re going to have to become a regular at this place. By doing this, you’ll see the same people (and some new ones) and you’ll create ties with them. You’ll even end up being the barman’s best friend (or worst enemy). But in order for this to happen, you’re going to have to work at it. But the ideal way to make friends in Paris is to go to places where doing this is easy. For example, music schools, organizations, amateur sports teams, etc. First, you sign up with the idea of going regularly. Yes, you can also go to a bar or club without signing up for anything. But here, by signing up and paying, you’re making a commitment. Sure, you could sign up to a team and just go when you feel like it. But if you do that, you won’t make any friends…far from it. Instead, you’ll make enemies and people who won’t really want to talk to you or be your friend. Basically, it’s clear that if you choose an organization, sports team, or music school (or something else along these lines), you have to respect your commitment if you want friends. Now, you can’t just choose the first option you find. You have to make thoughtful, effective choices. Choose a team sport because if you’re just going to do squats on your own, with your headphones on, you’re going to have a hard time making friends in Paris. For music, take group classes, not one-on-one lessons (plus, you’ll save money, since group lessons are less expensive). For an organization, choose something that brings out conviviality. Taking all this into account, you’re guaranteed to easily meet people in Paris. Now, there’s also the work scenario, and coworkers. If you’re in Paris for work, you’ll have new coworkers. Sure, at first you’ll have to become a part of the team, but that can happen fast. You’ll have to be able to quickly figure out who your coworkers are (meaning, the ones at your professional level) and who are your superiors. Your interactions will definitely be different, unless you’re joining a start-up where everyone is 25-35 years old. Essentially, though, there are coworkers who can become friends. It’s also possible that you have friends who know people or have friends in Paris, or something like that. A contact in Paris means you can make friends on-site. It’s not always super effective, but it’s worth a try. With a little bit of luck, you’ll end up with someone who really wants to include you in their life in the capitol and introduce you to other people. And if this doesn’t work, at least you tried it and can move on to something else. There are also some friend-making strategies that mean you’ll have to be open-minded and willing to leave your comfort zone. Keep an eye on the good deals and events going on in Paris. This way, you’ll discover ideas for activities to participate in that are organized for specific days and times. You’ll certainly have to sign up, but you won’t be the only one. There are a lot of places to discover in Paris. Really, that’s not something that’s lacking in this city. Look, for example, for the ranking of the best places according to a theme. Search for events that you’re interested in. Comb through Facebook to find groups and events that are near you or all around the city. You have the essentials, like: Le Bonbon and My Little Paris, which can give you a helping hand when it comes to finding things to do and making friends in Paris. If you’re into cultural activities, you are going to relish Paris and you’ll find a ton of other people who share the same interests as you. Magical. If you want to meet people from other places, think about events like couchsurfing, for example. This will let you meet people from around the world and practice foreign languages. But be careful, because you could just be making temporary friends, since they don’t live in Paris, unlike you. Worth trying, though. Also, the app Jumpin lets you meet nine total strangers in cool spots in Paris. In a group of ten, you’ll get to know each other and become friends…or not. You’ll see. Have you launched an e-commerce startup or in the process of doing so? As an entrepreneur, networking is a key part of running or launching any business. 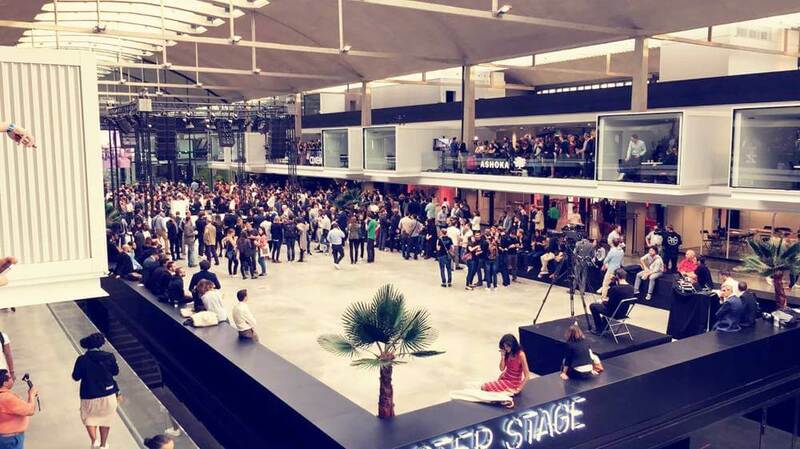 At Station F you get to meet plenty of young tech and startup professionals in Paris. Paris is the hub of innovation and startups are booming in the city. Why not leap on to the bandwagon of the future, of e-commerce, by becoming a member. You will enjoy meeting some of the most brilliant minds, sharing the best of innovative ideas. A great place to meet people in Paris, network and even gain some cool friends! 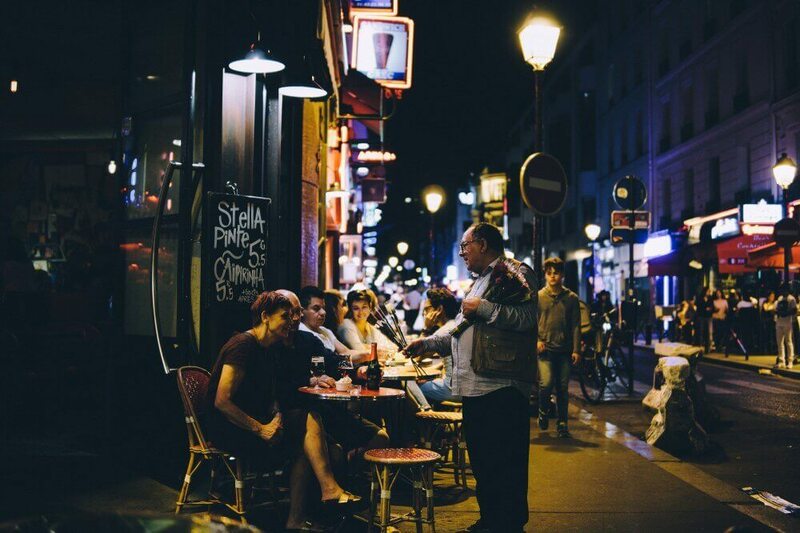 Paris and cafes are synonymous with each other! The city is home to some of the finest cafes on the planet. Cafes are a great place to bump into locals, make introductions and get a conversation started. The fact that Parisians are approachable and open to chat with strangers is a bonus. Head to any of those wonderful al fresco cafes on any boulevard in Paris, and you stand a good chance to make friends in Paris. When you are living in the land of all the finer things that life has to offer, how can you resist not being a bon vivant? As a resident of the city, knowledge about wine pairing is de rigueur! If you need to polish your skills and knowledge about wines and its accompaniments, signing up with a wine tasting club or workshop, would be the next step. Paris by the Glass offers members all they need to know about wine & cheese, champagne, French cuisine, and culture. Get to meet new people, raise a toast to living in the greatest city on the planet- Paris, and just have a rollicking time. As a young woman professional in the city are you looking to be part of a girl group in town? 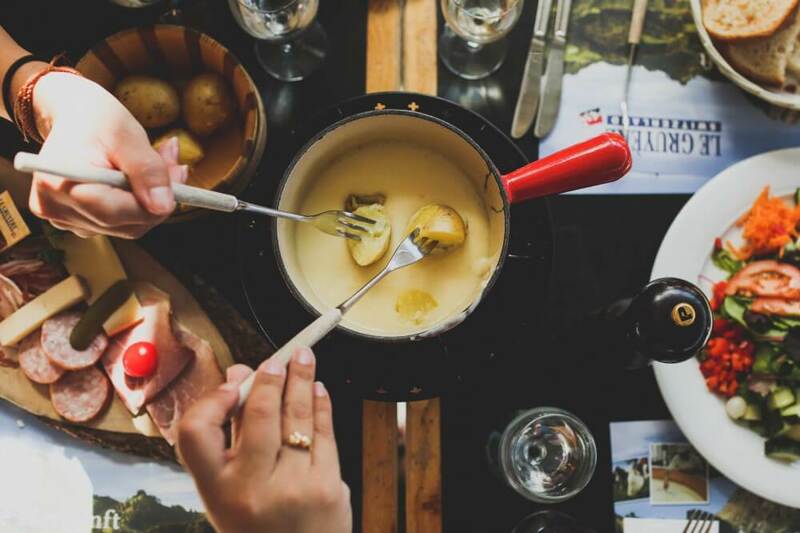 Be part of the Official Cheese Club in Paris and you will savor every moment spent with the filles in town. Enjoy the finest varieties of French cheese, while enjoying the company of the group. 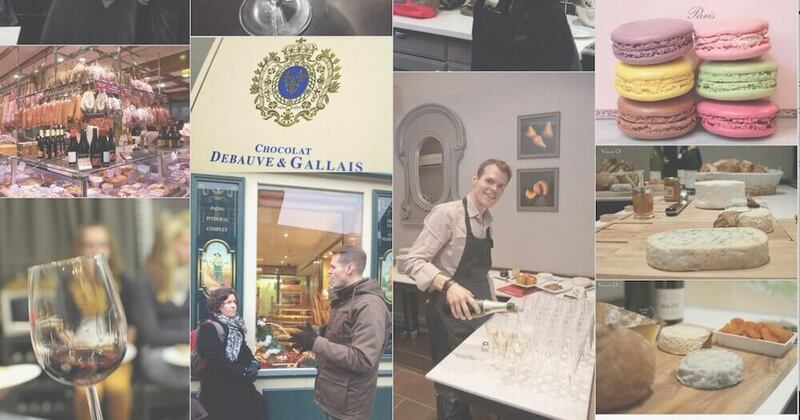 Become a ‘cheesemonger’, enjoy the various events held across Paris and make some wonderful friends in the process. Want to polish your French speaking skills? Lots of expats call Paris home and not all are fluent in French. 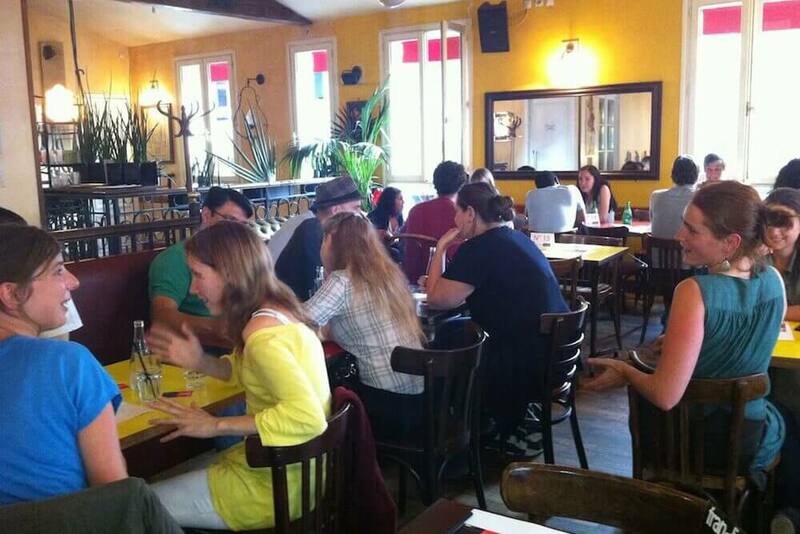 If you are among one of those and need to hone your French linguistic skills, Franglish Paris is the group to join. Held across classy venues across the city, you get an opportunity to have one-to-one conversations with French speakers. Get to meet locals, become more fluent in French and make friends in Paris. A novel way to learn and connect with people! Learning something new can be really exciting! When you learn a sport based on a fictional game from Harry Potter, it is awesome! 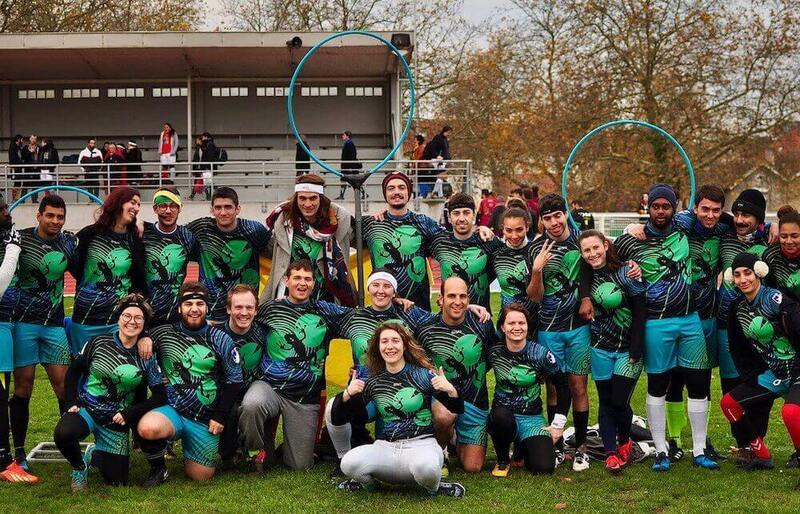 The sport of Quidditch has quite a following in the city, with the Paris Frog Quidditch team distinguishing themselves and earning laurels for the club. Become a member of the club and learn the rules and techniques of playing the games from Quidditch pros. You get to enjoy a unique sport, be part of an exclusive group of people, and have a lot of fun. If you are a fan of the boy wizard and his movies, there is no better way to prove your loyalty as a Potter aficionado! Now that you have a ton of ideas for finding out what to do in the capitol, you’re going to have to find a way to keep your friends. Sure, you still don’t know the city well and you’ve only recently arrived, so you don’t have your points of reference yet. Then again, you do have one: the place you live. Maybe your new friends are going to invite you to eat or have a drink at their places. Even if they love to invite people over and don’t ask for anything in return, invite them to your place. Friendship should be beneficial for everyone, after all. Don’t abuse your new friends’ kindness and hospitality, or you may lose them. They may not say anything to you about this but they’re still thinking it. So, even if cooking isn’t your thing, go get a few prepared meals from the grocery store and invite your friends over. It doesn’t matter if Medhi is the great chef in the group and Laura is pretty talented in the kitchen, too. It’s not a competition, it’s a time for friends to get together and enjoy themselves. There, too, is something that’s important to bring up. In order to keep your friends, you have to be careful how much you confide in them. Of course you can share things with your new friends, but watch out! Don’t be too invasive, overbearing, or annoying. Don’t just think of yourself. Take the time to ask your friends if they’re doing all right and to talk about things other than yourself and your problems. Show your friends that you care about them by calling, sending them emails or texts, and being as present for them as they are for you. 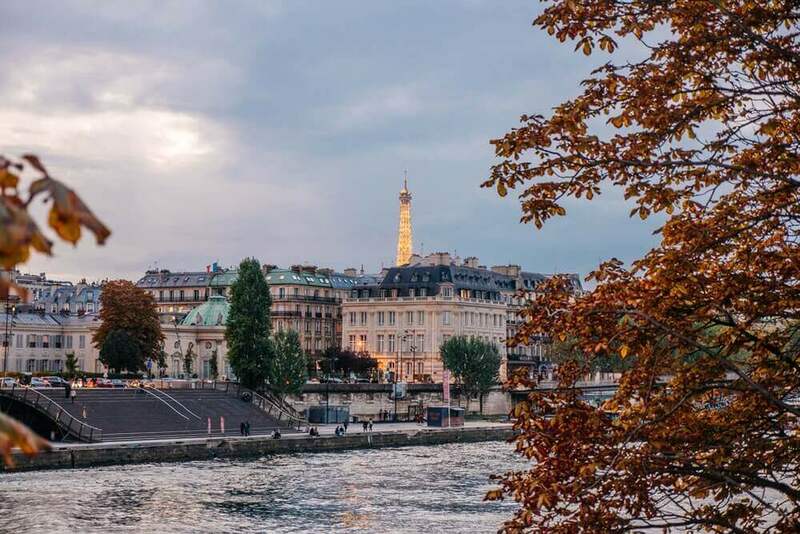 Paris isn’t lacking in activities, but it’s up to you to make an effort to make new friends. Ultimately, you have a lot of ways to make friends in Paris. Don’t force things and don’t force friendships out of a night at the club. Remember that there are better places to meet friends – real friends. Do you have an experience you’d like to share? Leave a comment, and also give us your best advice for other people who are headed to Paris alone, without friends. Meeting people is easier when your social skills are up to a level and can serve you in most social situations. Here, we’re talking about those key situations that make or break your social life. If you have the right social skills, you can handle these situations, and many more others, with ease. I explain more here: Learn Social Skills.